Echinocactus grusonii is the name of the cacti that my heart bleeds for, and not only mine I know for sure. 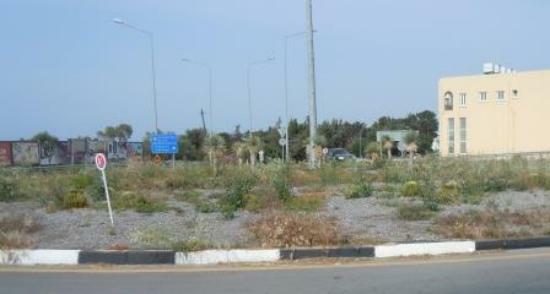 There is a roundabout between Alsançak and Karaoğlanoğlu, there where the Bypass Road turns off, still in the area of responsibility of Kyrenia Municipality, where on the order of the named municipality ….cacti were planted to embellish the area and in the beginning - that is more than a year ago - I thought it a nice idea. 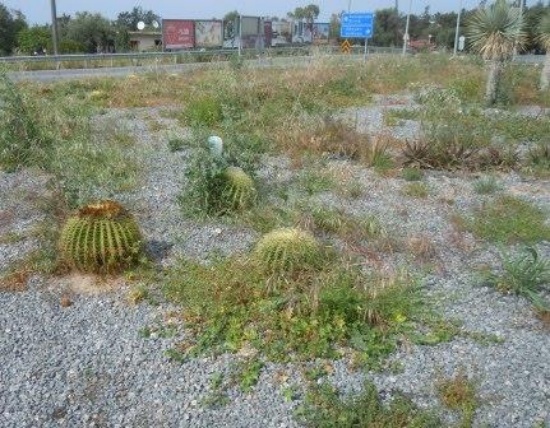 Unfortunately the cacti, among them respectable ones of 30 years of age and more have been planted by people who have no idea how to prepare the soil for them and how to take care of these rather expensive species of nature. I love cacti and I have met the Father of Cacti who lives in Lapta and who breeds them, Hikmet Uluçam, artist and photographer, who has told me all about them and from whom I have got some beauties from his collection for our own garden. 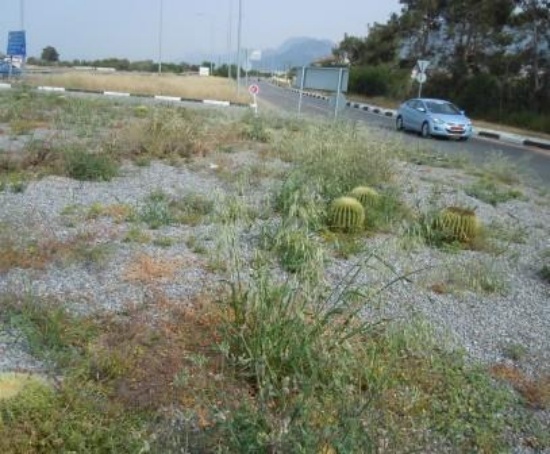 I have written about his lovely garden and Cacti families, and also about the Cactus Monument in front of the Parliament in Nicosia I have visited. 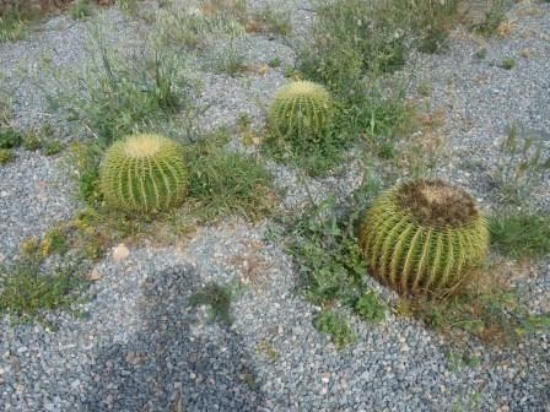 Now these extraordinary specimen which cost at least TL 300 per piece- I heard they were imported from Turkey, although we have cacti nurseries here – are in a very poor state and overgrown with weed. It is one thing to establish something – that is praiseworthy - but it is more important to maintain it; just as it is easy to have children, but to raise them, give them a proper basis for future life, that is our responsibility.